Caffeine is a popular way to help you wake up or stay up longer, but it may have negative side effects that can affect your vision. If you see zigzag flashing lights, you may have ingested too much caffeine, causing symptoms of an overdose. Stop consuming caffeine until you can be seen by your doctor. Caffeine is naturally found in cocoa beans, coffee beans and tea and is synthetically produced for use in certain medications and in beverages. This substance is a stimulant drug that quickly enters the bloodstream and affects the brain. 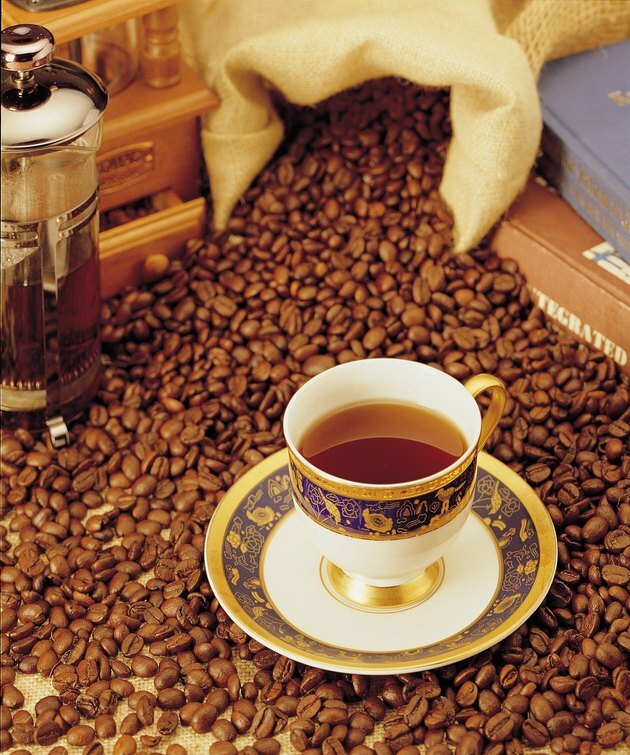 Caffeine helps to stimulate your mind and cause you to feel like you have more energy. However, its stimulant effects also can cause unpleasant side effects, including feeling jittery, anxious and unable to sleep. Caffeine supplements are not intended for long-term use, and you should not use them at all without the consent of your doctor. Consuming caffeine has a wide range of potential side effects that can affect various parts of your body. In some people, even moderate caffeine consumption can cause blood sugar to rise or drop, resulting in blurred vision. Common symptoms of blurred vision include the inability to see clearly, which may cause you to rub your eyes or squint. Along with blurred vision, high blood sugar may also cause flushed skin, increased urination, loss of appetite, nausea, stomach and trouble breathing. A drop in blood sugar may also cause mental confusion, cool skin, excessive hunger, increased heart rate, nausea, shakiness and confusion, according to the Mayo Clinic website. Seeing flashes of light may indicate that you've overdosed on caffeine. The website Drugs.com recommends that you do not consume more than 1,000 mg of caffeine in a 24-hour period, which is about 7-1/2 8 oz. cups of coffee. Signs of severe overdose -- which can lead to death and which require immediate medical attention -- include seizures, mental confusion, a racing heart beat, fever, trouble breathing and convulsions. Signs of an overdose that may not require emergency medical attention include increased urination, the inability to sleep and diarrhea. You may accidentally overdose if you consume various products that contain caffeine. For example, you may be taking a pain reliever with caffeine, drinking coffee and an energy drink and taking caffeine pills. Talk to your doctor about a daily caffeine intake that is safe for you. Do Chocolate Coffee Beans Give You Energy?